Investigation findings: The U.S. Department of Labor’s Occupational Safety and Health Administration‘s Des Moines Area Office cited the postal facility for one repeated and four serious safety violations. The citations follow an October 2015 OSHA investigation of a complaint alleging visible mold in the vestibule area of the postal facility. An investigation found workers exposed to slips, electrical hazards and respiratory illness because water was leaking into the facility causing the mold to form and also dripping onto the electrical panel. Quote: “Employers must make visual assessment of their facilities on a routine basis and promptly repair maintenance issues that can cause an illness, slips, falls and other injuries,” said Larry Davidson, OSHA’s area director in Des Moines. To ask questions, obtain compliance assistance, file a complaint, or report amputations, eye loss, workplace hospitalizations, fatalities or situations posing imminent danger to workers, the public should call OSHA’s toll-free hotline at 800-321-OSHA (6742) or the agency’s Des Moines Area Office at 515-284-4701. DES MOINES, Iowa – Feeling the symptoms of heat-related illness, a 24-year-old U.S. Postal Service mail carrier asked her supervisor to be relieved after walking about half-way through her 11-mile delivery route on a hot June day in Des Moines when temperatures exceeded 93 degrees. 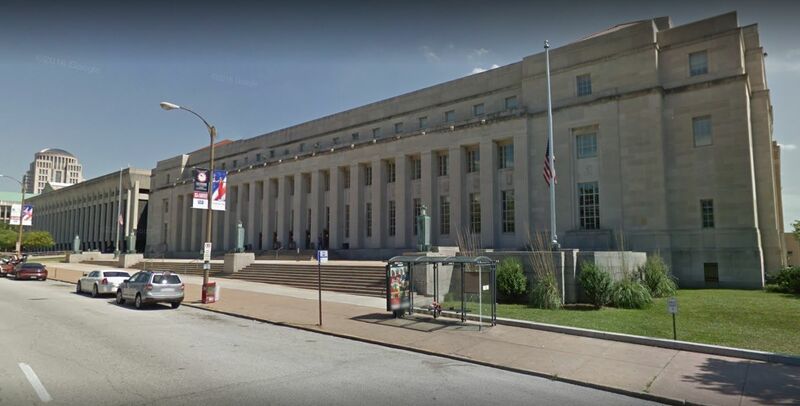 Investigation findings: The U.S. Department of Labor’s Occupational Safety and Health Administration‘s St. Louis Area Office has cited the U.S. Postal Service’s vehicle maintenance facility for onerepeated and two serious safety violations. Investigating a report of a fire in the facility on July 3, 2016, the agency determined that workers attempting to extinguish the blaze found at least two fire extinguishers that were not charged. Employees were able to extinguish the minor grease fire that occurred in a wheel hub, when they located a charged extinguisher. Maintain charged and operable fire extinguishers. Train workers on fire extinguisher use and the hazards associated with incipient stage firefighting. Maintain a fire alarm system. Conduct monthly inspections of fire extinguishers and associated equipment. To ask questions, obtain compliance assistance, file a complaint, or report amputations, eye loss, workplace hospitalizations, fatalities or situations posing imminent danger to workers, the public should call OSHA’s toll-free hotline at 800-321-OSHA (6742) or the agency’s St. Louis Area Office at (314) 425-4249. 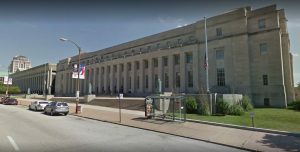 Investigation findings: The U.S. Department of Labor’s Occupational Safety and Health Administration‘s Indianapolis Area Office has cited the West Baden Springs’ postal facility for four repeatedviolations. Acting on a complaint alleging safety concerns there, inspectors began an investigation on June 3, 2016, and found violations of OSHA’s asbestos protection standards. Provide awareness training for employees that worked around broken mastic and tile contained asbestos. Promptly clean up spills and releases of presumed asbestos containing material. Ensure the use of dry sweeping to clean up asbestos containing materials. Label areas with materials identified as containing asbestos. Quote: “Until the early 1980s, asbestos – now, a known carcinogen – was used commonly in building materials such as floor tiles. Employers in workplaces with materials known to contain asbestos must train workers to take precautions when a spill or scratched tile creates the potential for a release of asbestos fibers,” said Vanessa Martin, OSHA’s area director in Indianapolis. To ask questions, obtain compliance assistance, file a complaint, or report amputations, eye loss, workplace hospitalizations, fatalities or situations posing imminent danger to workers, the public should call OSHA’s toll-free hotline at 800-321-OSHA (6742) or the agency’s Indianapolis Area Office at (317) 226-7299. SAN ANTONIO- The Texas Department of State Health services announced it will be having a statewide Zika workshop in McAllen on Wednesday. For people who work outside, concern about the mosquito-borne virus is especially high. Take mail carriers, for example. One mail carrier is fighting to make sure they’re provided with mosquito repellent. For a mail carrier, this is their office, the great outdoors. And with that can come some hazards. Richard Gould is representing a local mail carrier who recently filed a complaint with OSHA after not being provided mosquito repellent. PONTIAC, Mich. (WXYZ) – The family of 38-year-old Keesha Gray of Detroit has now hired a lawyer to investigate her death at the Metroplex Mail Distribution Center in Pontiac. She’s one of five workers to die on the job in 14 months, the latest happening in October of 2015. Gray died from Bronchial Asthma in June of 2015. Her attorney Brian McKeen tells us she felt sick that day at work and told her managers she was going to her car. That’s where he says she collapsed, died, and she wasn’t found for nearly two hours.